A new scented candle is always appreciated, but one that is made especially for Mom will light up the room with her happiness. 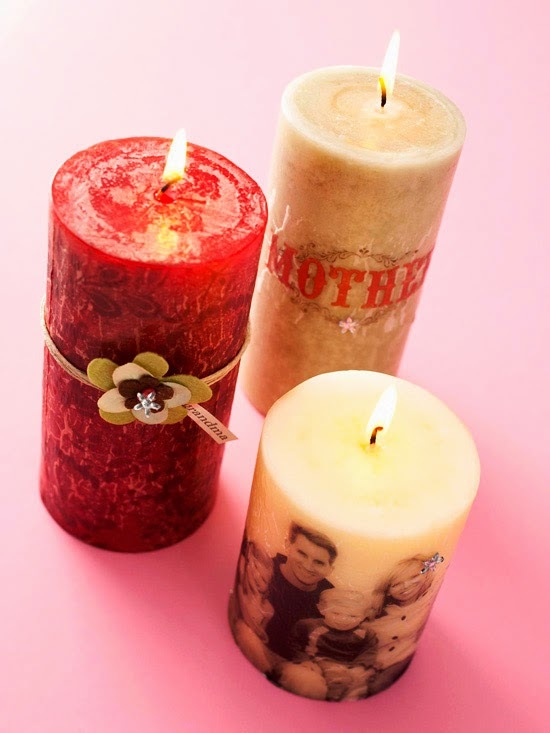 Turn ordinary candles into shining stars with family photos and embellishments. Print photos or digital designs onto tissue paper and cut out the images. 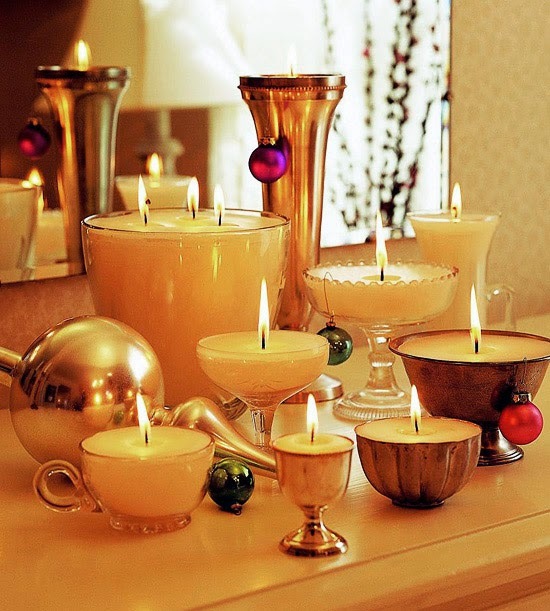 Wrap the candles with the tissue paper and keep it in place with straight pins. A heat gun will melt the wax until it saturates and coats the tissue paper. A hidden brad embedded in the candle secures the flowers. 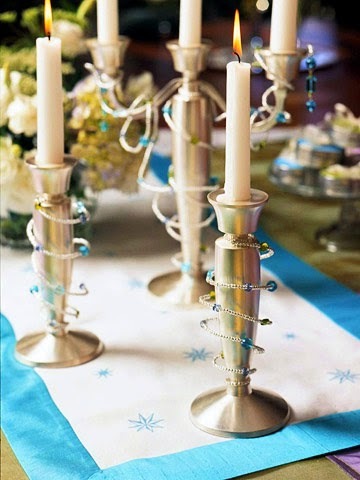 Surround any pillar candle with zigzags of wire. 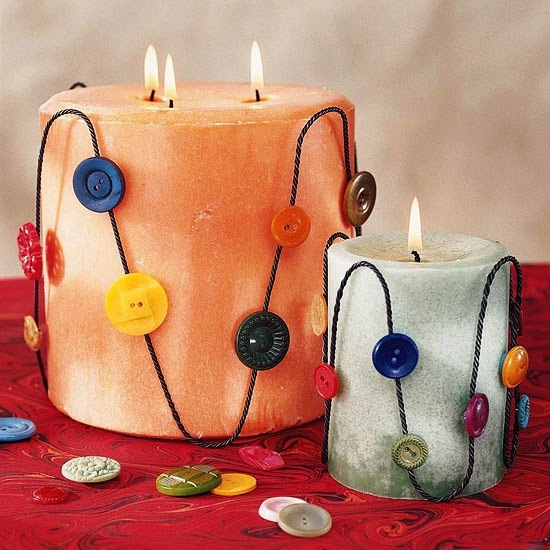 Choose colorful buttons that will match Mom's favorite room. Small containers used as candleholders make striking mantel arrangements or centerpieces when grouped together -- perfect for Mother's Day.